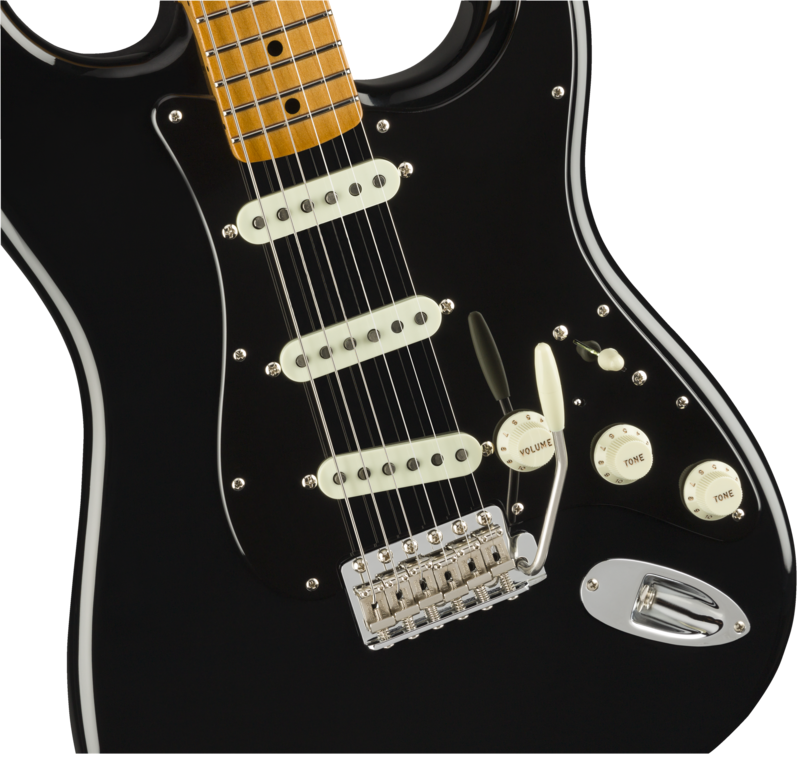 David Gilmour and the Fender Custom Shop are extremely proud to release one of the most highly anticipated guitars ever - the David Gilmour Signature Series Stratocaster®. 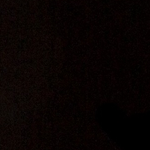 Gilmour’s famous “Black Strat®” guitar was a cornerstone of the Pink Floyd sound; featured extensively on The Dark Side of the Moon, Wish You Were Here, Animals, The Wall and his critically acclaimed 2006 solo effort, On an Island. 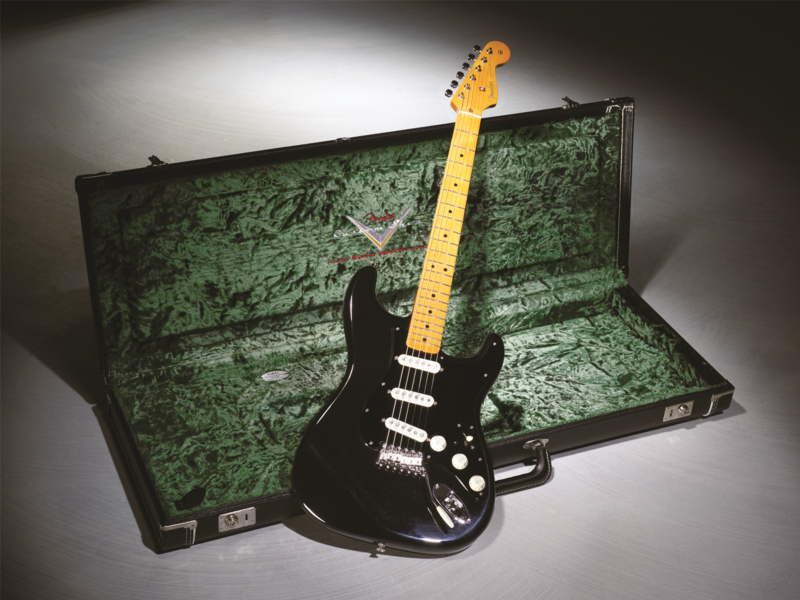 The Fender Custom Shop worked closely with Gilmour and his longtime guitar technician, Phil Taylor, to create his signature model, a reproduction of the Black Strat complete with its unmistakable look, sound and feel. 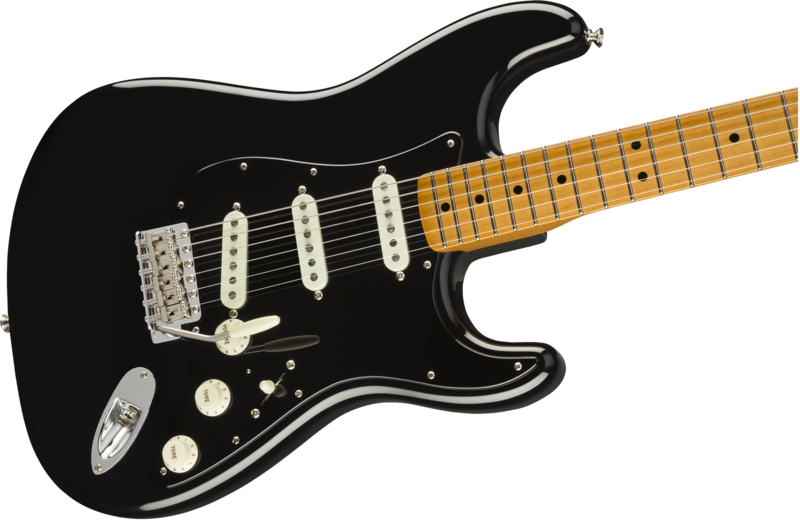 Featuring a black nitrocellulose lacquer finish, alder body with black pickguard, one-piece maple neck, custom pickups, and Gilmour’s own distinctive electronics and shortened vintage tremolo arm, the David Gilmour Signature Series Stratocaster is as beautiful, powerful and individual as Gilmour’s playing. 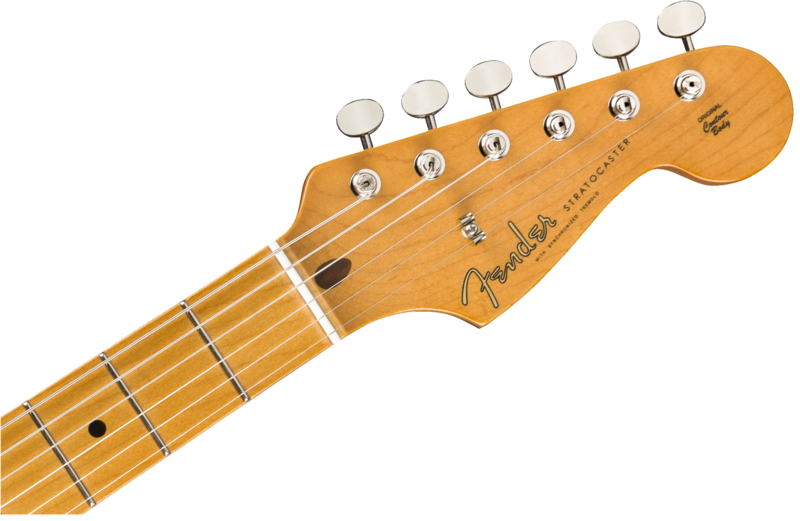 Additionally, the guitar comes with a custom case, Evidence Audio™ high-end guitar cable, and David Gilmour’s “Live at Pompeii” Blu-ray. 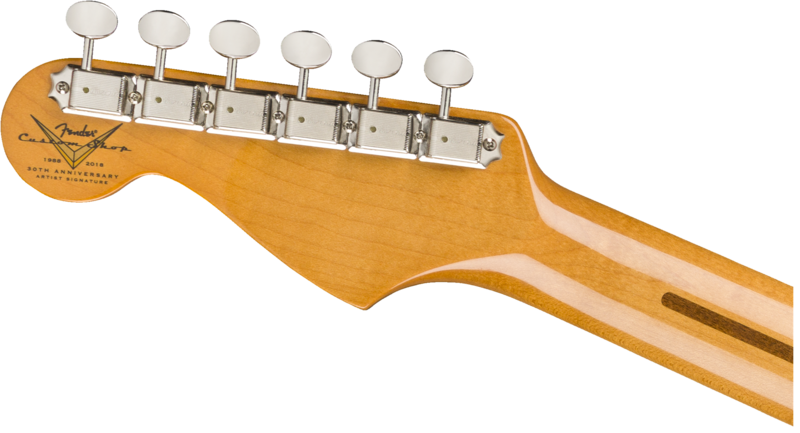 Unique Features: Thin-Shouldered "C" Neck Shape Duplicated from David's 1983 U.S. Vintage '57 Strat® Neck, Custom Shortened Tremolo Arm, Custom Beveled Tremolo Block, No Back Tremolo Cover Plate, Black Dot Position Inlays (Narrow Spacing), Aged White Pickup Covers, and Aged Parchment Control Knobs. 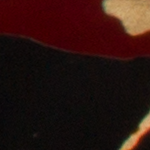 Included Accessories: Hardshell Case, Evidence Audio™ High-End Guitar Cable, Custom Leather Strap, GHS® DG Boomers Strings, David Gilmour’s “Live at Pompeii” Blu-ray.